That's common everywhere. Just another loophole to help the rich hold onto their money. In other words they have all the use of it but don't have to pay any tax, how convenient for them. You know the national trust has a manner and other property's which were left in a private trust to my own mother but which she never received, in the UK Charities such as the National Trust are very often used in fraud and as tax avoidance loopholes. It appears Waddesdon Manner was used to block a high speed train rail build as well. Did you miss the "former"? Do you have any idea how easily a plane and helicopter can collide? Especially with the air park being used by student and inexperienced pilots. The last member of the Rothschild family to own Waddesdon was James de Rothschild (1878–1957). He bequeathed the house and its contents to the National Trust. It is now managed by the Rothschild Foundation chaired by Jacob Rothschild, 4th Baron Rothschild. It is one of the National Trust's most visited properties, with over 390,000 visitors annually. Waddesdon Manor won Visit England's Large Visitor Attraction of the Year category in 2017. George from Top Flight Helicopters said: “I have spoken to the local airfield we are based at and it is not one of ours. I really don’t know anything at the moment. I tend to look at connections when I look at conspiracies and the name connected to the area the crash happened as well as the S.A. royals helicopter crash/hit caught my attention. Yes the Saudi crash did seem rather timely, so nothing wrong in having your own thoughts about it at all in this crazy world. From that point of view, it's irrelevant if collision like that are easy or not. is that a Eurocopter EC-120's tail in the bushes ? 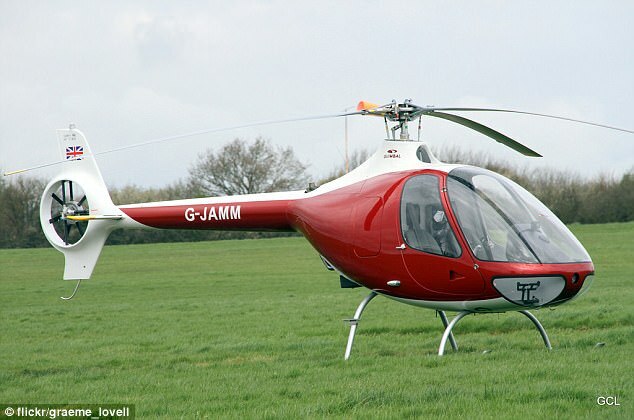 This is the picture being used of the helicopter. They haven't confirmed it's the same one though. Interesting timing given the Rothschild's were "discussed" by Qanon. However the plain was cleared to increase height and instead dropped 1700 feet and hit a helicopter? The airport they departed from has been reported as having no tower controllers. Unless he immediately got flight following and immediately went under control of a center, he was VFR. The Cessna is believed to have been on a training flight. They might have been doing stall training, or they might have caught sight of a glider near them and dove to avoid it. Pilots that fly out if there say quite a few gliders fly nearby, staying between 1,000 and 2,500 feet to stay out of controlled airspace.